Trinity Lodge Lough Key is an elegant stone cut house with a Jetty on the beautiful lake of Lough Key. Finished and decorated throughout to a very high standard, it is located in a unique setting amidst the stunning Lough Key Forest Park, Boyle, Co. Roscommon. The house is south facing, overlooking the waters of Lough Key – 20 acres of ground, with lake frontage. A nature trail leads down to the lake where you can fish, swim or water ski. You can also enjoy the privilege of your own private Jetty, where you are able to hire a boat should you wish to take a trip around the lake or cross the other side to visit one of the many Restaurants or other attractions that are available. The property comprises of 4 bedrooms, 2 double rooms and 2 twin rooms. In addition there is a sofa bed and fold up bed. The bedrooms are en-suite, with the master bedroom having a bathroom with jacuzzi bath. Bed linen and towels are included. 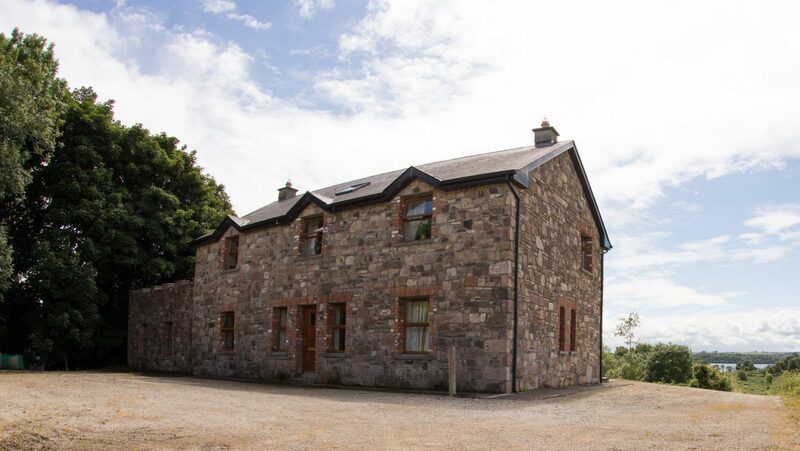 The living area is situated on the first floor of the house which captures the stunning views over Lough Key and comprises of fully fitted open plan kitchen with electric oven and hob, microwave, dishwasher, washing machine and tumble dryer. The living room has satellite television, DVD player, CD player and Radio. There is also a roof top patio off the kitchen/living room on the first floor which attracts the sun and is a nice place to eat or sunbath outdoors, and overlooks the large garden area with flowers, shrubs and a lawn. The patio at the front of the house is equipped with BBQ and garden furniture. The house also has a games room with a pool table, table-tennis table and dart board, ideal for entertaining yourselves or the children. Bicycles are also available for hire on request.